The HCG Diet Reviews – Episode 8! The reason I wanted to interview Virginia- Ginn for short, is because her journey to health has not ended with the hCG Diet. She began her journey at 281 lbs, lost 80 lbs, and 100 lbs overall so far- the last 20 lbs that have come off have been all through a combo of clean eating and exercise. She is now a beach body fitness coach and if you think you could benefit from some online coaching for a variety of fitness programs to keep you accountable, definitely check out her Facebook page: Virginia Beal FB Page she’s been in your shoes. She’s struggled with sugar addiction, being overweight, and all the mental issues associated with these things. Now she is coming out the other side a strong, well balanced woman who will both be able to keep you motivated, but understand where you’re coming from in your struggles at the same time. If you find this episode inspiring, you can see the rest of the interviews on the HCG Diet Reviews page. Ginn says she was heavy even as a child as young as six and being teased horrendously. Of course no parents purposefully instills bad eating habits in their children, but many have just been unaware of the effect certain ways of eating can have long term. She says she just remembers soda, candy, and hamburger helper being a big part of her life. She recalls trying to do her first diet as young as 10 or 11 years old and was overweight for the vast majority of her youth. When she was 15 years old she was put on the depo provera shot after having some issues related to her period, which she says caused her to “blow up” after that. What Happens After the Honeymoon Round? We both agreed the 1st round of human chorionic gonadotropin is like a honeymoon round. It often goes well in multiple ways- weightloss can often be quite high since you are at your highest weight when starting it, and since you have no experience with the diet you feel very committed to sticking strictly to the protocol. 2nd rounds almost seem cursed! It’s easy to get frustrated the 2nd time around when you are expecting the weight to come off as quickly as it did the first round, which it often doesn’t. She also mentioned she found herself cheating out of boredom or feeling very tired of the foods on P2. It became easier to screw up on the diet because she would tell herself, “I can just do another round,” which she says is really not a good mentality to have. But I’m glad to she brought this up because this is a reality that MANY of us have gone through at one point or another on our journeys. The types of rationalizing that we do in order to allow ourselves to make poor choices on the diet or to fall back into bad eating habits. She did or attempted several rounds, not all successful in that process of losing that 80lbs. She says whether she did well was strongly affected by how badly she wanted to change. As she confirmed, it is not an easy protocol. I wanted to know what it is that helped Ginn to make long term changes because in our conversation it was obvious that she has settled into a different mindset for herself and her family. She said she had started to ask herself ‘why can’t I stick to the protocol anymore? I did so well the first time around.’ It involved a lot of soul searching. ‘What do I really want?’ To lose weight. In order to be smaller and wear smaller clothes. Which she stated is not enough to go through this whole journey (which is actually the topic of Reason #3 for Failing and thus how to succeed, coming soon! ), something she didn’t realize at the time (a similar realization for many of us partway through. 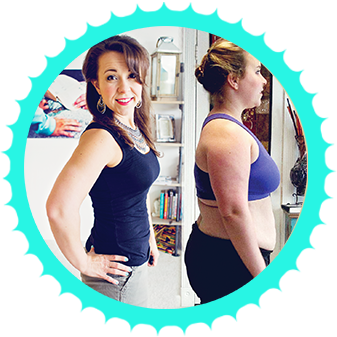 Right around that time Ginn came across Robin Woodall’s videos on youtube, the author of Weight-Loss Apocalypse: Emotional Eating Rehab Through the Protocol , which really opened her eyes to helping her address the things that would help her have the right reasons for losing weight. 1. Ask yourself what you really want out of life. 2. What are you willing to give up to have the things you want out of life? 3. Fall in love with yourself as you are. You need to learn to value your person in order to make the right decisions for it. She mentions really beating herself up in the past over small mistakes in regards to eating. She has learned to adjust her viewpoint and give herself grace when she messes up. She’ll acknowledge making a crappy decision, but realize it doesn’t have to affect her whole life, and move on. I’m so on the same page with Ginn here. I used to be the same way as well- everything was so black and white in my mind that any dietary indiscretions led me to just give up entirely and do further damage. I love that she talked about this because I think it’s a common struggle for women. Learning to give yourself grace for the mistake or poor choice you made, letting it go, then making good decisions going forward because you value yourself is something that takes hard work and doesn’t usually change overnight. But Ginn has really made some major adjustments in this regard.